The John Distillery in India predominantly produce blended whisky for the domestic market. More recently, they have been releasing quality single malt to the international market. They have a core range of unpeated and peated single malts, with something for everyone. They mainly mature their spirit in ex-bourbon barrels but they are also experimenting with some sherry butts. The Select Cask range gives the distiller the opportunity to select some of the best casks and offer a slightly more complex product. 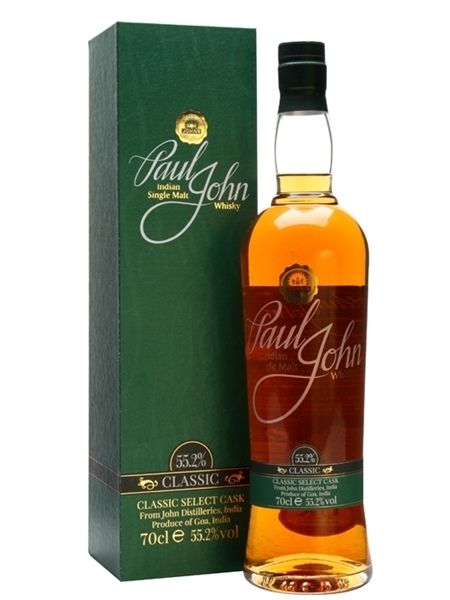 The Classic is 7 year old unpeated, ex-bourbon matured and packs a punch at 55.2% ABV.